I was driving on Bestgate Road in Annapolis and something in the way the wind hit me through the window made my heart give this respondent ache. It was March of 2001. My body, my heart was awake. I didn’t feel that dull, grey, sunless east coast flat. The nothingness that accompanies it, the all the time drain. Spring came in through the window and I felt alive. That was also the first spring that I was clean off alcohol and drugs. Which is significant because those changes brought a fierce dedication to work on my recovery. I saw a naturopath who helped me learn nutrition, a medical doctor that suggested I start charting my period courses by directing me towards lines of women’s mysteries and wisdom, and a shaman who taught me the validity of meditation and the inner states of our consciousness. I was also learning yoga, and how to breathe, from a roommate. This came in the middle of two solid years of experiencing lithium toxicity (over-medication and downright irresponsible medication monitoring: adverse affects of docs crossing the meds I was on) at the hands of an incompetent MD. This is when the Big Pharma takeover of Western Medicine had just really started. There were few patient advocates, so me and my mom had to navigate that mess ourselves. I had an awakening. I had an awakening concerning my responsibility to my health, how health involves daily consciousness around my whole system. My mental health, my physical health, my nutrition, my sleep, my hormones, my spirit. As the years went on I’ve learned to add joy, emotions, creativity, discipline, and finances all as subtle bodies that live in me. The importance of gratitude for the never-ending process, the equal importance of not taking things too seriously, but also knowing where to not compromise. I can tell you that learning me, my rhythms and all the extensions and impacts of these various parts that I have to be responsible to, is the singular good work that I have committed to in my life. When I write about the moons and patterns of nature it is because by daily commitment to my own cycles I unlocked the truth of my connection to the larger ones of Life. Out in Nature it has been confirmed again and again that when I am connected to me I am connected to the larger flow. I have a decade of journals that pattern my cycles, that chart my patterns against the larger ones of bioregional tides and those of society that move out from bioregions. The idea that we are not impacted by the larger movements of life is absurd. Disconnection from it, in my personal experience, caused me to self-deny and self-medicate in ways that should’ve killed me. It led me in to the nightmare of a medical system that largely devalues the exact things I am talking about. I don’t know about astrology. What I do know plenty about are the rhythms of the moon and sun and the elements and seasons and how they correlate to our own rhythms of growth. 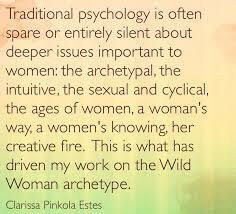 These are “women’s mysteries.” In indigenous cultures they are still known and valid. To make them relevant and accessible for all here on this forum I use the depth psychology term for them: Soul. The loss of them is the reason humanity is in such crisis. Mercury retrogrades means the planet pauses in its forward motion. When this happens right before spring (as it does this month) it is the building of momentum. The first day of spring brings us the element of fire. Fire element, as all the elements, has three energies. Cardinal, which means igniting; mutable, which means changing; and fixed, which means same, or like cooking something for a long simmer. Spring Fire Element is Cardinal. Meaning igniting, bursting forth. Here is the image I have of the Merc Retro right now. In a movie, when there’s great graphics and special effects and there is a big explosion, and the first second of the explosion is in slow-mo, and in that pause you see all the rubble all around you, everywhere, in mid-air. That’s what it means when merc stops moving. Especially with the growing energy of Fire adding steam to the mutable, (changing) Water element of Pisces. Right? We are paused amid everything that the season of dark (winter)brought up for us. Pisces is the changing water element, it washes away what we don’t need. BUT DAMN MERCURY IS RETRO so everything is stuck, there is no relief, no cleansing, get it? Ensuring that we are sure of what it is in us that needs cleansed, rebirthed, or relief. The second that Fire initiates us on the first day of spring, all that crap we don’t need anymore–that we can’t help but see from day to day right now–will burn right off. Horay! We are being sort-of cured right now, like big ol turkeys sitting in a brine. The tension is building and building for Spring’s growth to occur. It’s so, so important to conserve your energy. Trying to start new projects right now will drain you, it’s literally going against the tides and can actually bring pain and illness. This time is for reviewing, reflecting, a time to witness, maintain and heal. The new moon, which is Monday, is always a good time for deep insight and stillness. Previous Post Soul-work is NOT self-esteem!